FRP unlock Archives | Lets Learn to Hack Android. I would like to start by saying that our current FRP bypass solution is not free. We are currently searching for an alternative unlock solutions for the Galaxy Note 9. 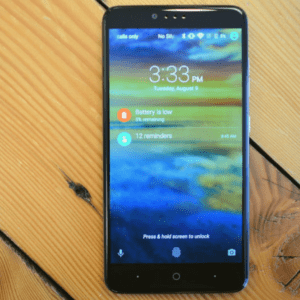 Updated with the most recent Android security system, the Galaxy Note 9 is near impossible to FRP bypass without the proper tools making it very difficult to find a reliable free unlock solution. Would you like to stay up-to-date with the latest and most reliable FRP bypass solutions? Join the TechJunky family. At this moment (January 2019) we are only offering our premium FRP removal service for the Galaxy Note 9, but we plan to offer an alternative (free) unlock as soon as we can provide you with a free method that we can trust. We will be using our parent company UnlockJunky’s service to bypass FRP on your Galaxy Note 9. What Benefits Can UnlockJunky Offer You? 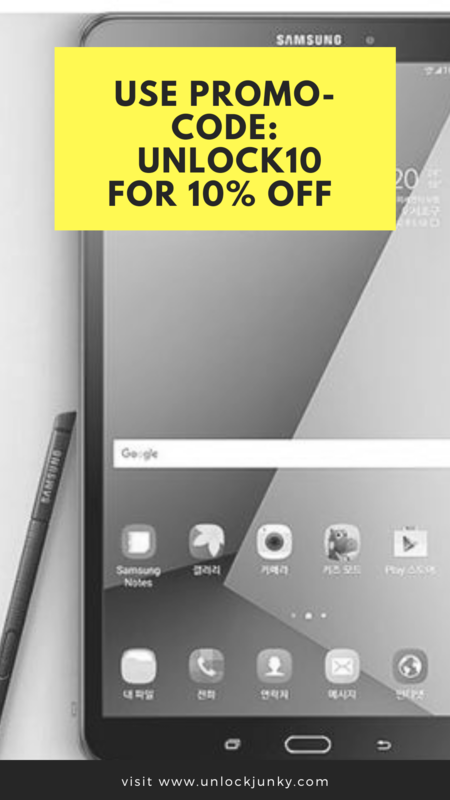 Full money back guarantee if your Galaxy Note 9 is not FRP unlocked at the end of the process! UnlockJunky is a premium FRP removal service. If you want to learn more click here. If you have any questions check out UnlockJunky’s FAQ page or contact us, I promise we don’t bite. I don’t expect you to trust UnlockJunky, but I do hope that you check out our reviews. Let’s Bypass FRP Galaxy Note 9! Step 1. Using your Windows PC, go to your internet browser (Chrome, Opera, Firefox, etc.) and search UnlockJunky.com. Step 2. Once you are at UnlockJunky’s website find the “Select brand” option and select “Samsung“. Step 3. To continue the ordering process for your FRP bypass click the “Model” option and scroll all the way to the bottom where it says “Note 9”. Step 4. Now that you have chosen “Samsung” as the brand of your device and “Note 9” as the model, you must choose the “Unlock Type”. Since you need to bypass FRP on your Galaxy Note 9 pick the “Google Unlock” option. Step 5. Click the Unlock button. Step 7. Now you will be brought to a Paypal payment screen where you can complete your order. UnlockJunky accepts both debit/credit and Paypal. Once you have placed your order you will receive a confirmation email with our remote client program (USB Redirector Program) and a set of instructions similar to the ones you will read below. Download and install the remote client program onto your Windows PC. Our technician is unable to bypass the FRP lock off of your Galaxy Note 9 without the USB redirector program. What do I do if I did not receive the confirmation email? 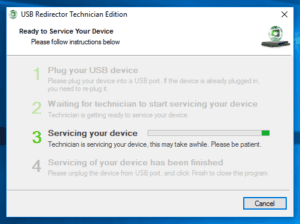 Once our technician knows that the order has been completed she will send you the USB redirector program and instructions through the live chat. Don’t worry, just send a message to our 24/7 technical support team explaining that you did not receive the remote client program or instructions after you ordered. Once the team member confirms that your order is valid he/she will send you the remote client program and a set of instructions so that you can get your phone unlocked as soon as UnlockJunky is open. Step 1. 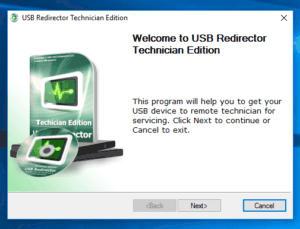 Download and install the remote client program (USB redirector program) onto your Windows PC. Step 2. 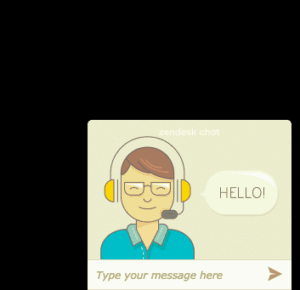 Go to https://www.unlockjunky.com and start a live chat with our technician (you can find the chat box in the bottom right hand corner). Let the technician know that you have already ordered your unlock (provide her with your order number or the email that your ordered with) then ask for the tech address needed for the remote client program. Then type in the address provided. Step 3. Using a type c USB data cable, plug your Galaxy Note 9 into your Windows PC. Once the bypass is complete you will see the remote client program go to step 4. 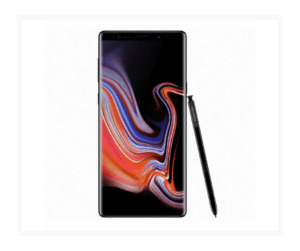 You will also receive a confirmation email that will ensure that your Galaxy Note 9 has successfully been bypassed. Congratulations! 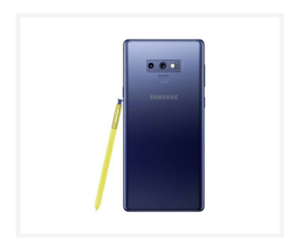 You have successfully bypassed the FRP lock on your Galaxy Note 9! How To NEVER Get FRP Locked Out Of Your Galaxy Note 9 Again! Before Factory Resetting or Hard Resetting your Galaxy Note 9 please complete the following steps! Open the “Settings” app on your Galaxy Note 9 > Find “Accounts”> Select “Google” > Tap the top Gmail account > Tap “More” > and Finally select “Remove Account” then approve the action of removing that specific Google account. Hello all of you wonderful TechJunkies! It’s Mariah from TechJunky (and ???? UnlockJunky). In this article we will be going over the various steps needed to sign back into your Google account(s) if you are FRP locked out of your device. 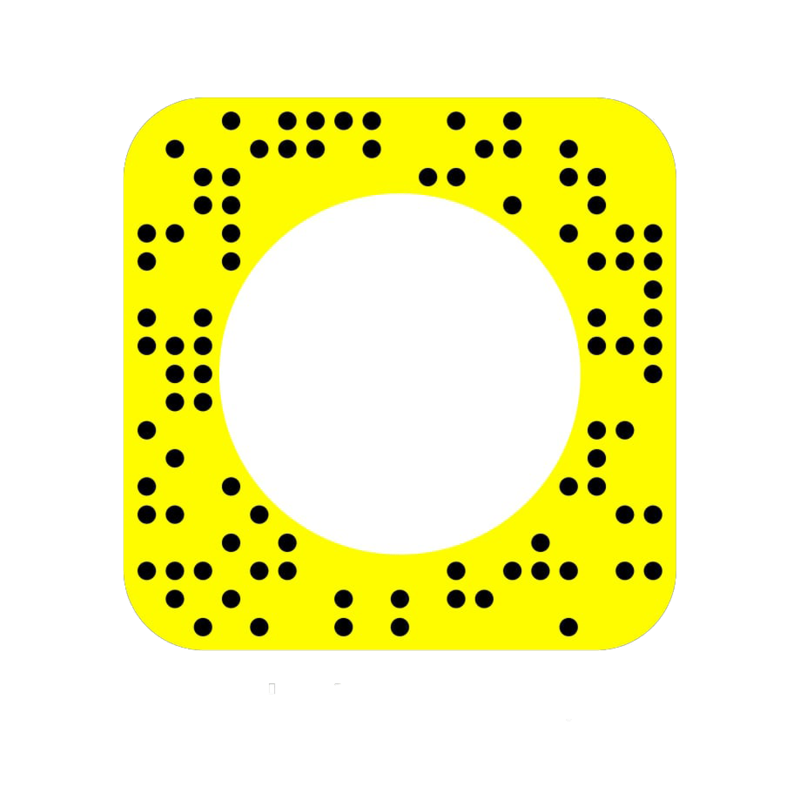 I hope you enjoy ???? Every device that uses lollipop ???? (Android 5.1 and higher) has the factory reset protection (FRP) security feature, allowing phone owners peace of mind. Because of the abundance of smartphone users in the world, the companies Google and Android collaborated to create the FRP lock which enables unwanted intruders from accessing your device. In many cases device owners accidently trigger the security feature, making it near impossible to access their device unless they know the previous Google account information that was previously used. The mobile device that is locked will not allow you to fully set up your phone until you either bypass the Google account verification screen or signing into the previous account. If you know the previous account information, then there is no need to panic. Simply follow these steps to gain access to your device once more ????. Did you reset the device yourself enabling the FRP security feature, or did you purchase the device and it was already locked to the Google account verification screen? If the device was previously yours, then this shouldn’t be too large of an issue. 1. Try to remember the Google account information that you previously used on the device. Note: If you are forgetful like me ???? it might be beneficial to use another device (computer, tablet, phone, etc.) that has your Google account synced and change the password so that you know both the Gmail and Password. 2. Once you remember the Google Account information, starting with the Gmail. Check on other devices and choose the account that you use the most (if you have more than one Gmail) use the information provided. 3. Do you know the password for the Google account that you chose? If not it might be beneficial to change your email password and go back to the locked with the correct Google account information. 4. Provide the Google verification screen with your account information. The device should unlock. 1. Talk to the phone’s original owner and find out if he/she is able to give you their Google account information so that you will be able access the device. Side Note: If the original owner does this for you, please be sure to delete the account information as soon as you can and reset the device again. 2. Meet with the previous owner of the device and allow them to sign in so that you can have access again, then delete the account and reset the device again. 3. Bypass the FRP lock. You are able to do the task yourself or use a FRP removal service. Do You Need To Google Account Bypass Your Device? If you are unable to obtain the Google account information and you still want to use your device, then bypassing the FRP lock on your device will be your best option. We offer a few free unlocking methods for Samsung, ZTE, Motorola, and LG devices, click here to view. 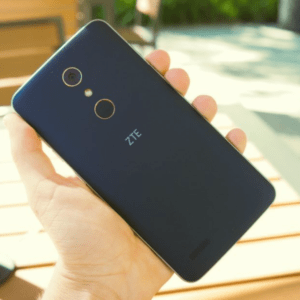 Our Parent company UnlockJunky offers premium unlocks that work on ALL Samsung, LG, and HTC devices plus most ZTE and Motorola devices as well. Offering a Money back guarentee if the device is not unlocked at the end of the process. Perfect for those who have little technical knowledge. What To Do When Your Device Is FRP Locked? In this article we talked about what a FRP lock is, how it could have occurred, and what you are able to do to fix it. It is extremely frustrating when your device is locked to the verification screen and it only gets worse when you attempt to handle the situation blind. In hopes of helping you get back onto your device I’ve written this short article that assist you while you are dealing with this tedious task. If you have questions about unlocking your device contact us at either UnlockJunky or TechJunky. Good luck with your unlocking quest! Hey It’s Mariah from TechJunky, this article is about how you are going to Google account bypass your Galaxy Tab A. Our method unlocks ALL Samsung devices ???? I would like to start our unlocking journey by saying this is not a free unlocking solution. We will be using our parent company UnlockJunky’s (paid) solution. If you are interested in learning an alternative method that you can use to bypass the FRP lock on your Galaxy Tab A, then please let us know! We are creating a list of alternative unlocking solutions that our amazing TechJunkies can use. If you would like us to add any specific devices (including the Galaxy Tab A) then please contact us. Now, let us begin ???? After reading this article you will be able to Google account bypass your Galaxy Tab A with UnlockJunky. It is extremely important to the staff at UnlockJunky (including myself) that everybody has an equal opportunity to unlock their device. We offer a easy and accessible FRP removal service at a affordable ???? price. Perfect for those with little technical knowledge. If your Galaxy Tab A is not unlocked at the end of the unlocking process, we will offer you a full refund. The best 24/7 technical support. We don’t expect you to trust UnlockJunky, but we do hope that you check out our reviews. What is this? Oh… It’s our review page on UnlockJunky.com. You can also find reviews on our Facebook page. What is a FRP lock? Learn more about FRP removal services. Do you have any questions? Check out UnlockJunky’s FAQ’s page and/or contact page. I will provide you with our Google Account Bypass Galaxy Tab A process in numerical order. Using your internet browser, whether it is Chrome, Firefox, or another browser like Internet Explorer and type in “UnlockJunky”. We will be the first result. After clicking “UnlockJunky” and getting brought to our website home screen go directly to the Select Brand button and click. 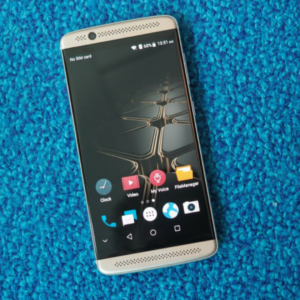 After clicking the button, an options bar will slide down offering the following options: HTC, LG, Motorola, Samsung, and ZTE. Choose accordingly, since we want to Google account bypass Galaxy Tab A we must want to choose “Samsung” as the brand of the device. If you click the model button a large list of all of the Samsung models that we service will appear allowing you to find your specific device “T580U”. P.S it is much easier to scroll all the way to the bottom of the list and finding the option “Tab A (T580U)”. 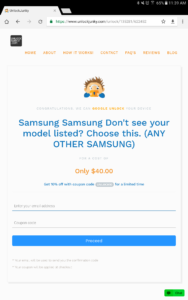 This option can be found 9 placements above “Samsung don’t see your model listed? Choose this (ANY OTHER SANDING)”. Using the information provided you must decide what Unlock type you are interested in getting. Since you are reading this article I am assuming that you are looking to Google account bypass your Galaxy Tab A. If this is true choose “Google unlock”. After providing us with the necessary information that is needed to complete the order, clock the blue Unlock button so that you are able to access the final step. Now, you should have finished filling out your device information for your Google account bypass Galaxy Tab A. Once the brand, model, and type is correct click the blue Unlock button. What Do I Do Next ???? ? 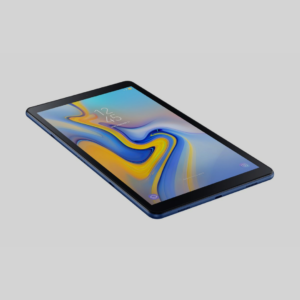 The Google account bypass Galaxy Tab A order should be complete by the time you reach this part of the article, if it is not click here to complete your order. If you did not receive the confirmation email please don’t panic, we have an amazing 24/7 technical support staff (including myself ????) that will be happy to help you at any time! All that you need to provide is your email address that was used to complete the Google account bypass Galaxy Tab A order and your confirmation number. You have the ability to order and/or talk with our highly trained technical support staff at any time, but our technician is only online during our business hours. We offer scheduled appointments that allow you to be our technicians top priority at the time that you are scheduled. The staff(s) at both TechJunky and UnlockJunky love ???? when we are contacted with questions and comments. Please don’t hesitate to let us know what’s on your mind. We’ve gone over the process that you have to use to Google account bypass your Galaxy Tab A through our parent company UnlockJunky. 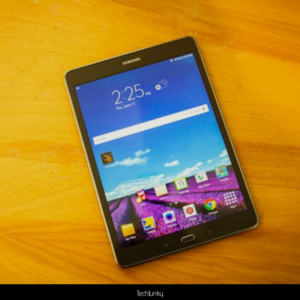 We hope that you check out more about Google account bypasses and other important information that can help you unlock your Galaxy Tab A.
Mariah from TechJunky here ???? as the title states we are going to Google account bypass your Galaxy S8 Edge in this article. You must know that this FRP bypassing method is not free. We offer an alternative unlocking method that works on some Samsung devices. If you would like us to offer a more reliable alternative unlocking method for your Samsung device(s), then please let us know. Our paid method through UnlockJunky allows anybody with a Windows PC and a locked Galaxy S8 Edge (or any Samsung device) to Google account bypass their device. Offering premium unlocks at an affordable price is extremely important to our team(s). Offering Google account bypass Galaxy S8 Edge using UnlockJunky’s paid method. Providing everybody with a easy, reliable, and affordable remote FRP removal service is top priority for the TechJunky and UnlockJunky team(s). Have any questions? Check out UnlockJunky’s FAQ page or contact us ???? I promise we don’t bite. UnlockJunky is a premium remote FRP removal service. If you want to learn more click here. We don’t expect you to trust us, but we hope that you check out our reviews. 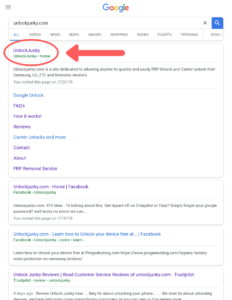 Step 1: Using your internet browser (ex: Chrome, Bing, Safari) search “https://www.unlockjunky.com”, then go to our website. Step 2: Now that you are at the UnlockJunky website, go to the button that says “Select brand” and click. A list will scroll down, now you must choose “Samsung”. Step 3: you currently have “Samsung” as the brand of your phone. We can now make our way over to the “Model” button and click. A huge list will appear naming Samsung devices, scroll down all the way to the bottom and choose “Samsung don’t see your model listed? Choose this ( ANY OTHER SAMSUNG)”. Step 4: Select the “Unlock type” and choose “Google unlock”. Step 5: Once you complete all of the steps on the homescreen, click on the blue “Unlock” button. Before you are able to Google account bypass your galaxy s8 edge, you must fill out the payment information provided through Paypal after clicking the “Unlock” button. Congratulations ???? You’ve just completed your order for a Google account bypass Galaxy S8 Edge! What time is UnlockJunky open? If your order has been completed during business hours, then all you have to do to complete the FRP unlocking process is start a live chat with our highly trained technician. He will work with you to complete the unlocking process. Once you complete your order you will recieve a confirmation email with the USB redirector program (remote client program) attached. Be sure to download and install the program into your Windows PC because it is impossible for our technician to unlock your device without the program installed. What do you do if you do not receive either the confirmation email or the program is not attached? If this occurs during business hours, then start a live chat with our technician and let him know what’s going on. He will ask you for your order information to insure that you have already paid for your unlock. Once he knows that you have completed your order he will personally send you the redirector program. In the case that your order was completed before/after business hours, then contact our technical support staff. The best way to get ahold of us is through our email: unlockjunky@gmail.com, but you are also able to contact us through social media. We love ❤ when we are contacted at UnlockJunky/TechJunky because it helps us provide you with the best service! Please, if you have any questions or concerns don’t hesitate to contact us. We will answer your questions about your google account bypass on your galaxy S8 edge as soon as we possibly can. 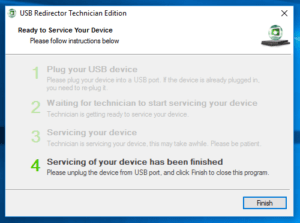 Once the USB redirector program is installed, complete the USB redirector process before starting the live chat with our technician. The short video above ⬆ will give you the instructions needed to complete you google account bypass. Now, that you’ve started the live chat with our technician you can sit back and relax, he will complete the unlock. In this article you have learned how to Google account bypass your Galaxy S8 Edge using our premium (paid) unlocking service through our parent company UnlockJunky. Join the TechJunky family so that you can stay up to date with the latest mobile unlocks and tech news!